Included in Boston Magazine's list of 15 Best Mexican Restaurants in Boston! Starting April 10th, the Taco Tuesday Special of $1.00 tacos is available for Dine-in Guests ONLY. Sorry, but Take Out is no longer available for the Taco Tuesday Special. ​Now Serving Mexican Cocktails and Beer in our new Full Bar! 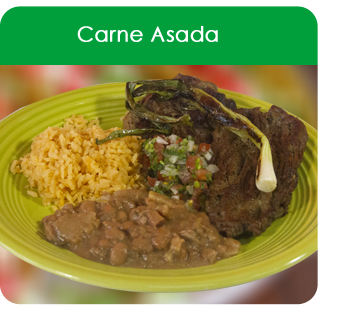 Carne Asada- made with a special carne asada marinade consisting of Montreal spices, adobo, and granulated garlic.